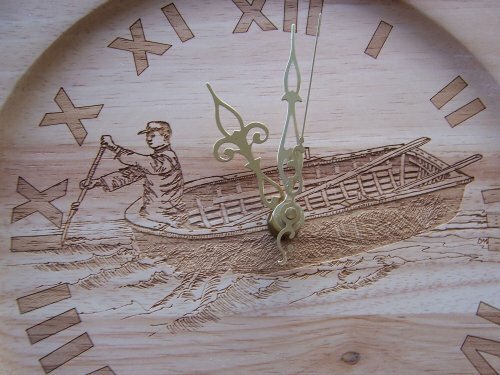 We don't have an online order form because so many variables make most every order a one-off. 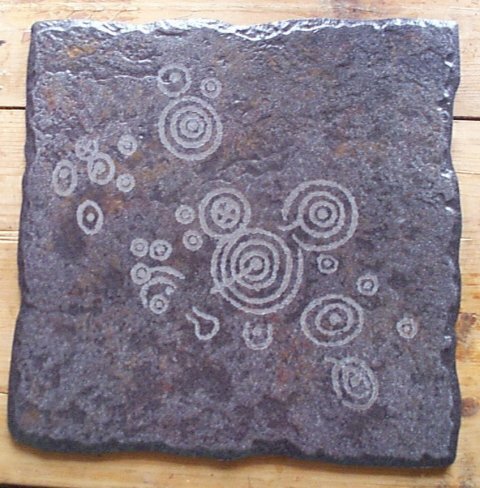 This webpage is a short catalogue to give you ideas. You dream it, we beam it! 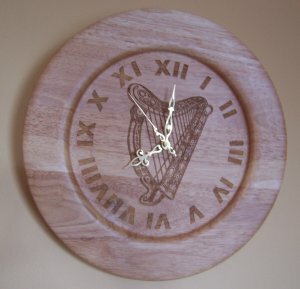 Just email us or, if you're in Ireland, phone us and tell us what you want. We'll accomodate you! 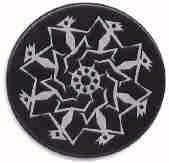 We accept PayPal, Visa, MasterCard and American Express and we ship anywhere on earth. 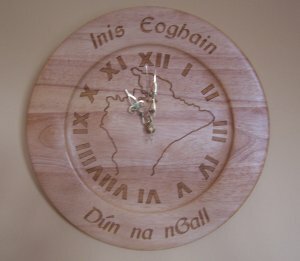 Price is €50.00 for any design shown. 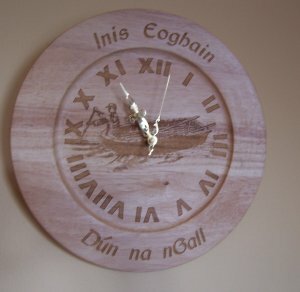 Clocks are available with or without "Inis Eoghain, Dún na nGall" around the edge (please specify). 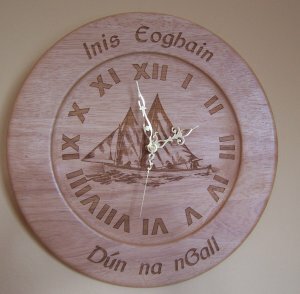 Custom Clocks are available with "most anything that fits" for €25 extra - great for weddings, housewarmings, etc! Guaranteed 100% Cow, no endangered species endangered. 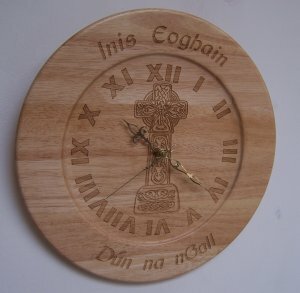 €3.00 each or €15 for any six. 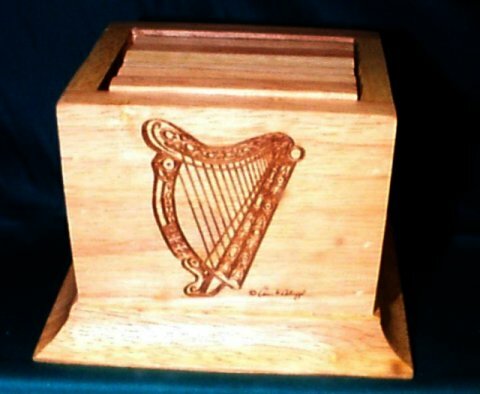 Please note that the custom made barmat above does not feature the copyrighted Guinness Harp or their real name. We won't knowingly infringe on anyone's copyright. 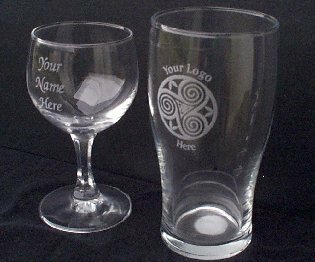 We will furnish and engrave (one side) as shown above, L-to-R, your choice of a Champagne Flute, a Wine Glass or a Pint Tulip for only 7.50. 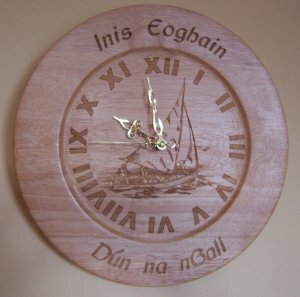 For 10.00 we will engrave both sides. 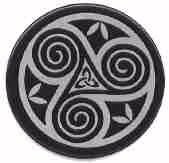 Substantial discounts for large quantities of a single design. 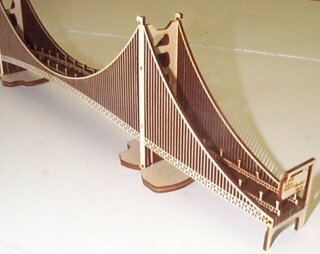 Cut entirely by laser out of 3mm aircraft plywood, this intricately-detailed kit (assembly required) is 60cm in length and features amazing detail, especially in the supporting "cables" which are each approx. 1/4mm in thickness. 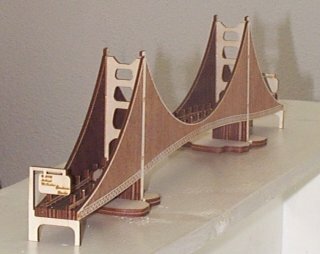 Yes, it's as fragile as it looks and it takes about two hours to assemble properly. 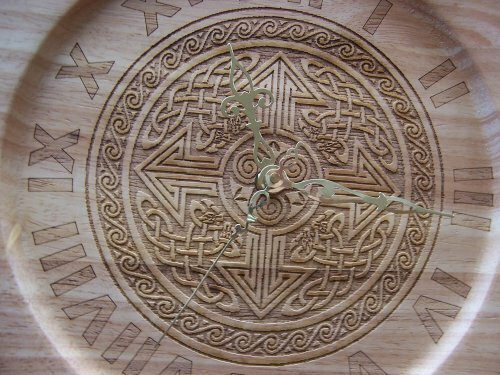 It is not for children or fools, but if you're into things like jigsaw puzzles, you'll find assembling this piece just as much fun. 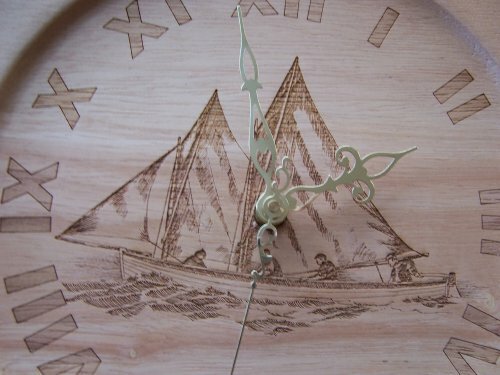 It comes with a few options, such as "islands" that can be inserted under the supports and we'll even customize it at no extra cost with your name or other message laser-engraved onto a road sign at both ends. 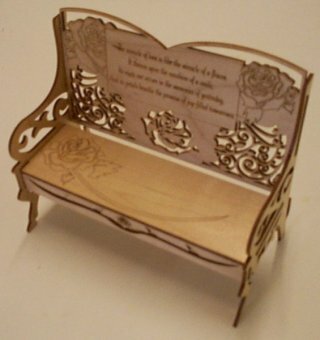 We cut miniature wood filigree furniture. 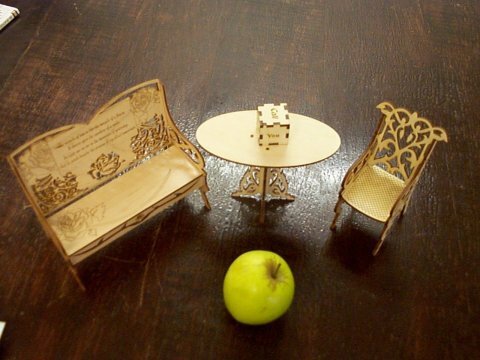 Here you see a loveseat, table and chair with an apple shown for scale. 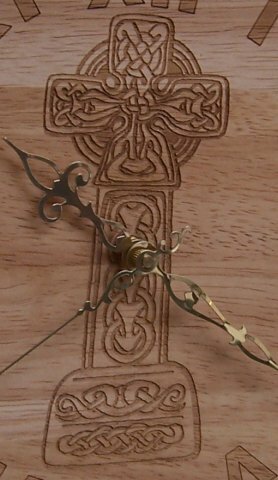 And another picture showing the fine filigree detail and engraving on the back of the seat, which even features a specially-designed card holder for gifting. Of course you can substitute your own text on the back. 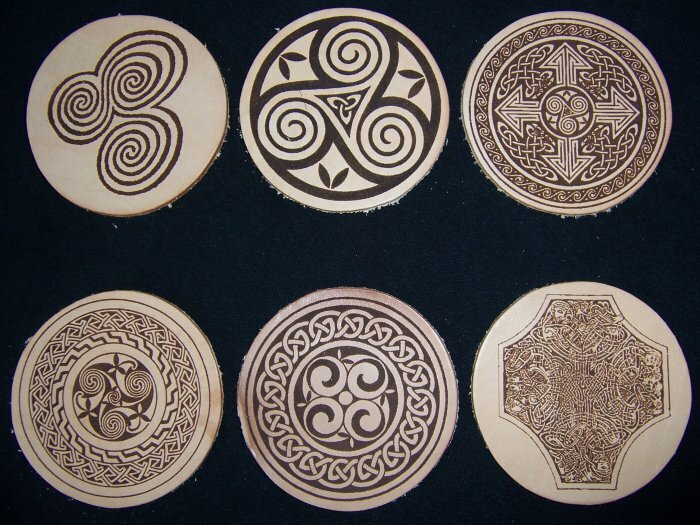 These designs are merely concepts we've laser-engraved experimentally in order to to give you some idea of what we can do. 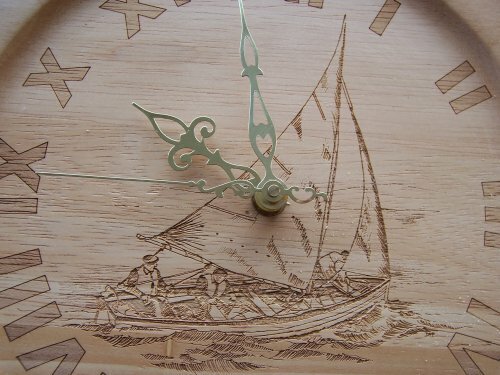 Feel free to furnish your own ideas, or even your own artwork! Prices by quotation. Need a one-off? 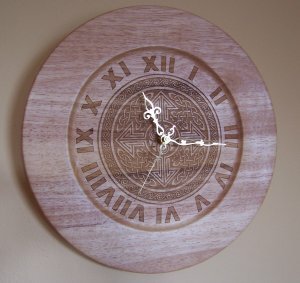 The power and versatility of our computerized system make it easy to change entire designs in mere seconds. 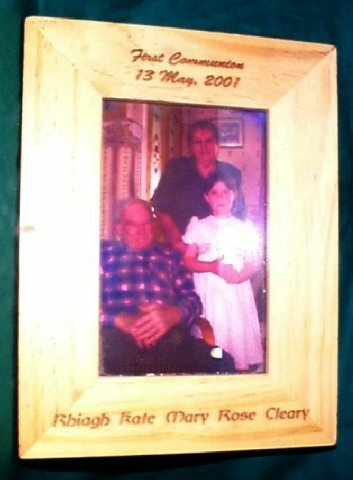 Items such as photo frames and glassware can easily be personalized with names, dates or special messages. 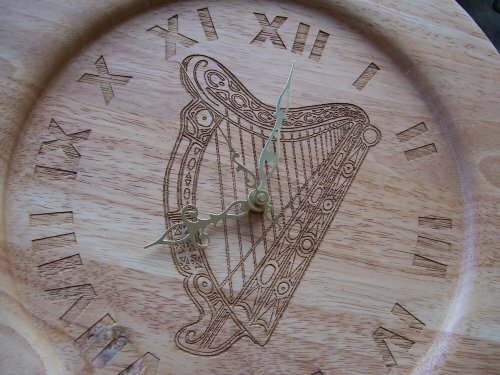 Our precision and accuracy are exceptional. The two black onyx stones shown below are magnified from their actual diameter of 5mm. Speaking of personalizing items, have you ever had your favourite hammer or other tool grow legs on a job? 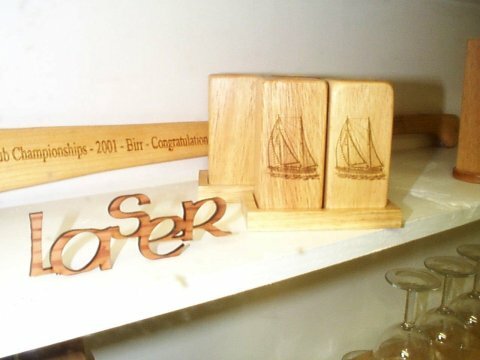 That wouldn't happen if you had your name laser-engraved on your tools. 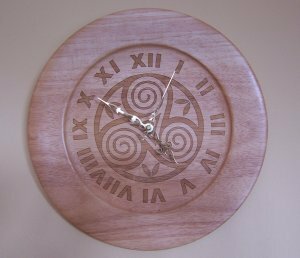 We can permanently laser-mark wood, plastic and most metals with your name or other information. 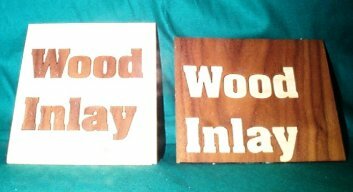 Two-tone wood inlay plaques or signs can be made to order. 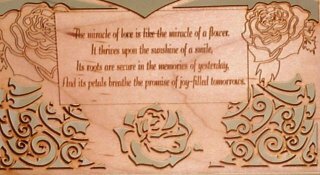 You can even give us your kids' artwork and have it immortalized: laser-engraved permanently into a hardwood plaque. 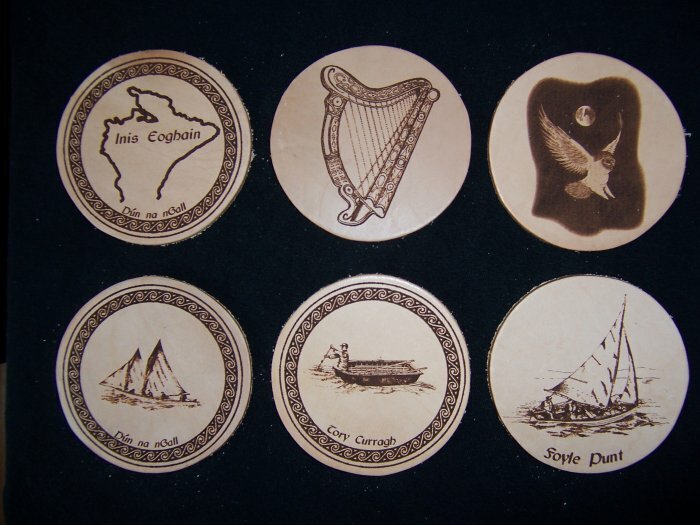 The above photo is merely one of many examples of art scanned and laser-engraved into thick wooden beer mats. 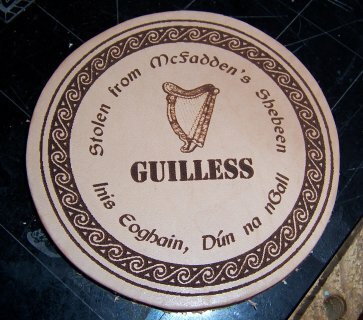 Yes, we'll engrave team names on your hurleys! Email us with your own ideas. You dream it, we beam it! Shipping is, of course, extra, but we can mail to anywhere on earth.